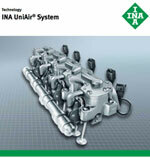 For 60 years, INA brand products have stood for creative application solutions as well as top engineering and production expertise to the company's customers. The overrunning alternator pulley is one of the "unsung heroes". This inconspicuous component reduces vibrations and improves the energy efficiency of modern engines. The function of the overrunning alternator pulley is to decouple the generator from the rotational irregularity of the crankshaft. The alternator pulley powers the alternator by means of a "soft" torsion spring. It absorbs the rotational imbalance which then prevents torque fluctuations. The dynamic forces within the assembly drive are reduced, and the tensioners, pulleys and belts are subjected to smaller loads, are protected against damaged and therefore have longer service life. 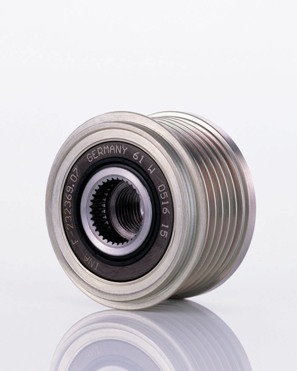 As these belt pulleys are exposed to wear in the same manner as tensioner pulleys and belts, Schaeffler Automotive Aftermarket recommend replacing the OAP when replacing the components in the assembly Drive.